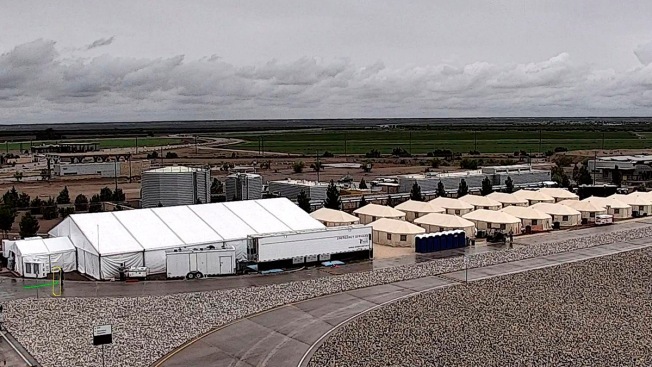 This undated file photo provided by the Administration for Children and Families, a division of the Department of Health and Human Services, shows the shelter used to house unaccompanied migrant children in Tornillo, Texas. "It would destabilize the permanency of their existing home environment, and could be traumatic to the children," White said in a court filing late Friday, citing his years of experience working with unaccompanied migrant children and background as a social worker. "The Trump administration's response is a shocking concession that it can't easily find thousands of children it ripped from parents, and doesn't even think it's worth the time to locate each of them," said Lee Gelernt, the lead ACLU attorney. Jallyn Sualog, deputy director of Health and Human Services' Office of Refugee Resettlement, said in Friday's filing that it would take up to eight hours to review each of its 47,083 cases between July 1, 2017, and Sabraw's June order, which translates to 100 employees working up to 471 days. Such an assignment would "substantially imperil" operations without a "rapid, dramatic expansion" in staffing. Sualog, echoing White's concerns, said the government would lack legal authority to take children from their sponsors and "doing so would be so disruptive and harmful to the child." "Disrupting the family relationship is not a recommended child welfare practice," Sualog wrote.